Posted on October 2, 2015 September 27, 2015 by WPosted in Discipleship, FilmTagged awake, Joe Vs. the Volcano. 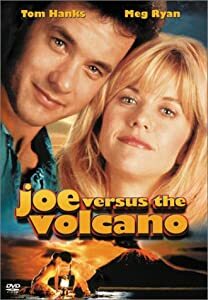 I never thought I would say this, but I think I will give Joe Versus the Volcano another try. I have found much food for thought in this very silly movie. Did you see my other post on this film? Btw, I have added your blog to my blogroll under “theology,” fwiw. I haven’t looked at the other post, but I will go searching now. When I get my site better arranged (learn how) I’ll put you on my roll, too.